Blue is the royal colour and it is associated with qualities like power, purity, wisdom, trust, spirituality, stability, and integrity. Blue may not be a common colour used in homes, but if you like it, you can transform your house with various shades and patterns of blue on the walls, upholstery, and other decor items. Blue is a versatile colour and it works well with most other colours such as subtle shades of grey, white and purple and contrasting options such as striking red and yellow. If you are looking for the right combination, here’s how you can complement the blues in your house. 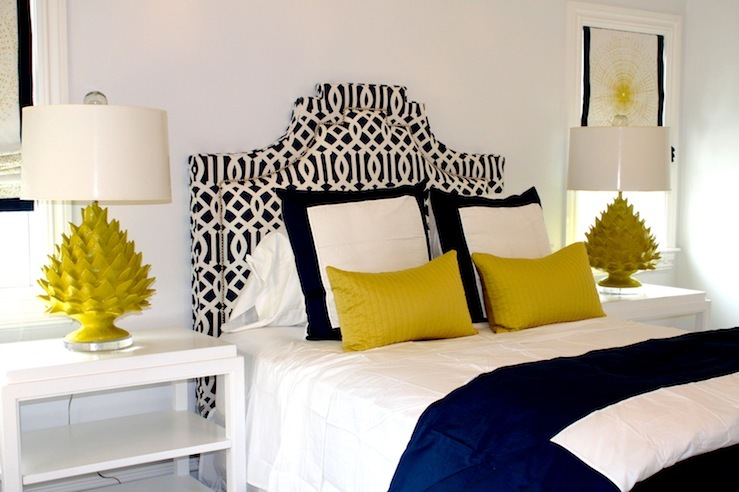 Blue with yellow: Provided that the walls feature a neutral colour such as white or grey, you can add a combination of blue and yellow decor items to your home. For example, a sky blue dining table with royal yellow coloured chairs will provide a contrasting, yet cool styling to your room. Jewel-tone blue with earth tone colours: Walls painted with crisp white provide the perfect platform to add jewel-tone blue upholstery to your room. You can complement the blues by adding earth tone coloured items. For example, if you have jewel-tone blue sofas, you can add earth tone coloured cushions for an accentuated look and feel. Blue with black: This is not for everyone, but it has no parallel when it comes to conveying a sense of power and supremacy. For most parts, this combination utilizes blue to the maximum, while black works at the borders or fringes. On a crisp white wall, consider a large blue-toned painting with black borders for that dominating effect. 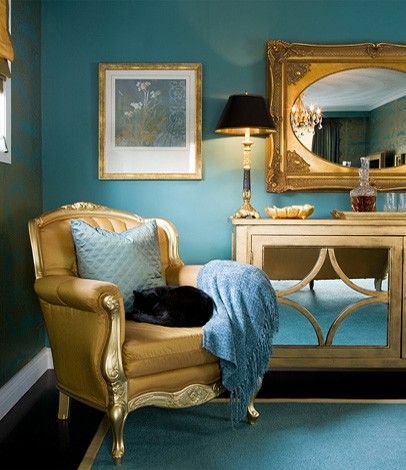 Blue with gold: Both associated with the royalty, a combination of blue and gold can provide a fascinating contrast to your room. For example, blue coloured cushions with golden outer lining would look absolutely stunning. 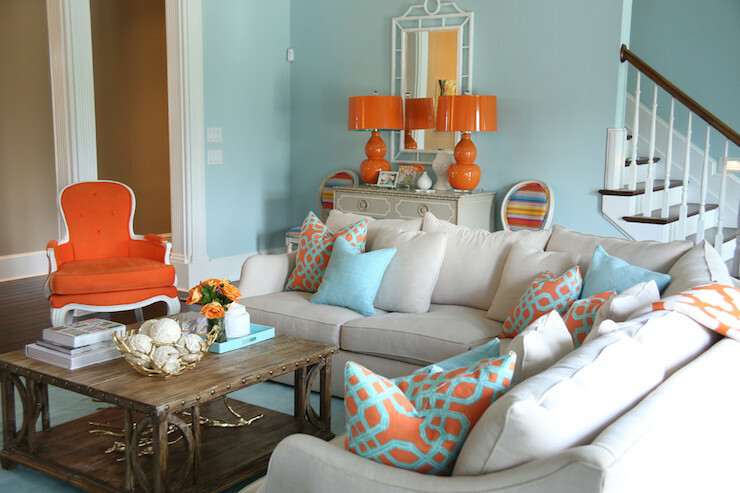 Blue with orange: This works as an attractive contrast and adds both serenity and sporty looks to your room. For example, a sprightly orange shaded lamp against blue painted walls would be mesmerizing. For more such brilliant ideas about complementing the blues in your house, you can seek a personal consultation with Shreya Designs. A leading architect and interior design firm, Shreya Designs can help you create your blue heaven with alluring shades of the royal colour and the most attractive colour combinations that sync perfectly with the unique elements, style and ambience of your house.